I baked a big apple cake last Sunday. I like cooking very much because I love eating. It was too big for us, two persons, but we ate it in two days (* v *). 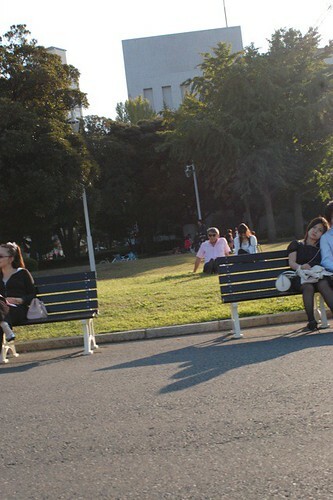 It was beautiful day, so we went for a walk. 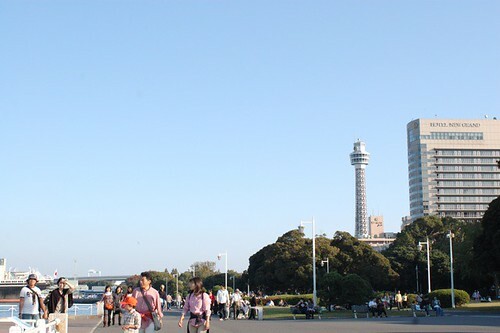 Then, we took 100 yen (1 dollar) bus to Yamashita park, in front of Yokohama bay. It was really beautiful day. People were enjoying in their own way. 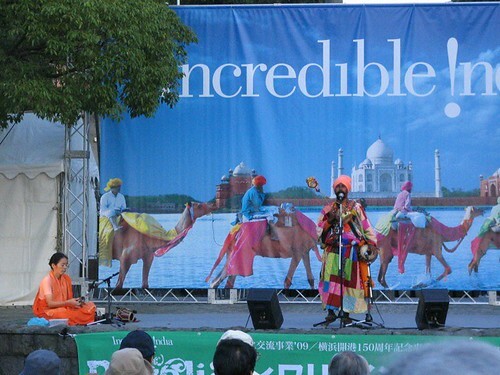 I wanted to go to this park because there was a Indian festival. He is a bard and his song was very impressive. 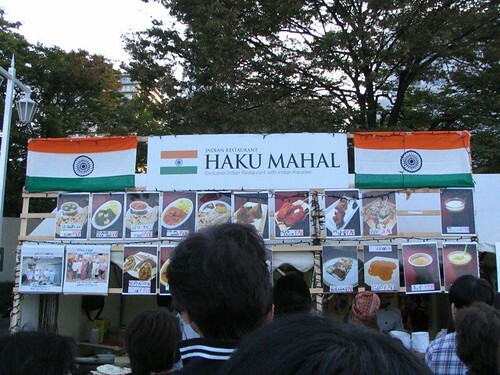 I also wanted to eat some Indian foods. 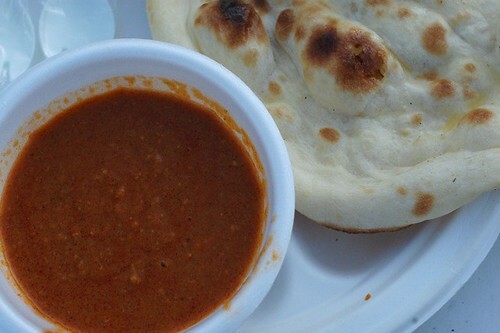 I love naan. This dish was delicious. We ate one more curry (* v *)!!!!! 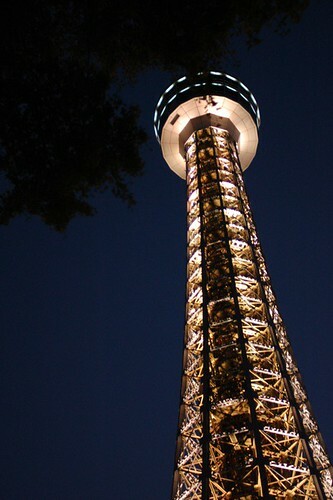 After we enjoyed a lot, we came back home by 100 yen bus again, and then I got back to my work. I made these pincushions after the walk. Aren't they cute? It's very easy to make them, so I took some pictures while I was making them. I'll post it, please wait for a while (* v *)!!!! Oh, someone asked me where I got these leather pieces or leather tools. I got them in a Japanese online shop and a craft shop near my house. In Japan, there are lots of online shops that sell craft tools/materials. It's very convenient and cheaper than real shops. For example, I got some fabrics in 4 dollars per meter today(All are beautiful Japanese cotton and Japanese cotton/linen blend fabrics). 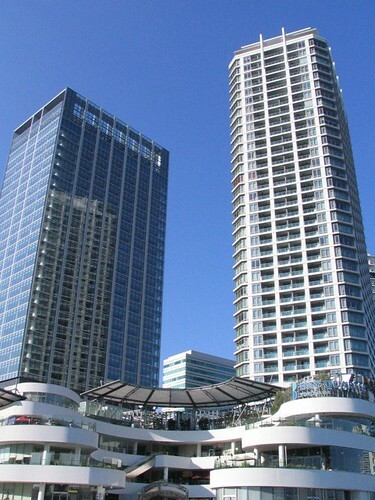 I like to go to real shops also, but they are more expensive and don't have so many things. But most(almost all) of Japanese shops have only Japanese pages and don't ship internationally. That's a shame. 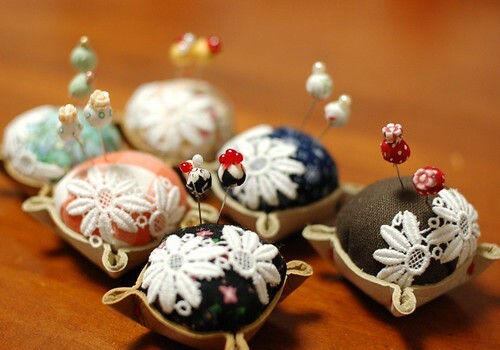 I love the pincushions, beautiful! beautiful pincushions ..... as always. can't wait for your tutorials. 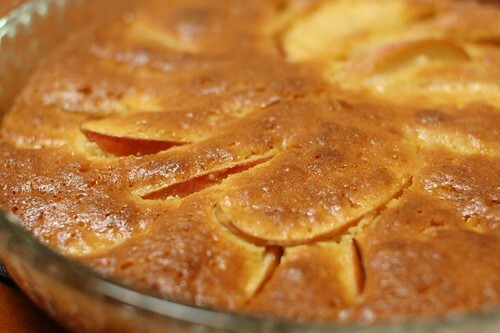 btw your apple cake looks yummy delicious too. any chance you will share the recipe? Ohhh !! !Mai, this is so cute !!!! I love everything you create and I visit your blog everyday. Wonderful, inspiring blog to me !!! I wish we had so many online craft shops and also real craft shops here in France, we have some though, but japanese fabric remains quite expensive, it is the cutest anyways.I certainly cannot find cute japanese cotton fabric, leather and stuff to do rubber stamps in my city, I have to order online.I had to order a carving tool and rubber from an online shop in the States, because I want to try myself at rubber stamps carving. Do you handsew everything ? I do not know how to use a sewing machine.....I want to learn someday.Anyways congrats for your great blog and thanks for sharing ! Hey Mai! I love your blog and I love your generosity with sharing all your ideas and tutorials. I'm from the states, and I'd say that with few exceptions, it's cheaper to go into a store & buy the items. I find that it's the shipping costs that make things so expensive, and if shipping is cheap you have to buy a lot of fabric first. It's interesting to hear that it's so different in Japan. Sending you hugs & kisses from Southern California, USA. I have a friend who sells furniture. she gives me the old leather samples. the pieces are about 4"x6". all different colors & textures. i have been saving them, not knowing quite how to use them... now I have a lot of good ideas from Mairuru! 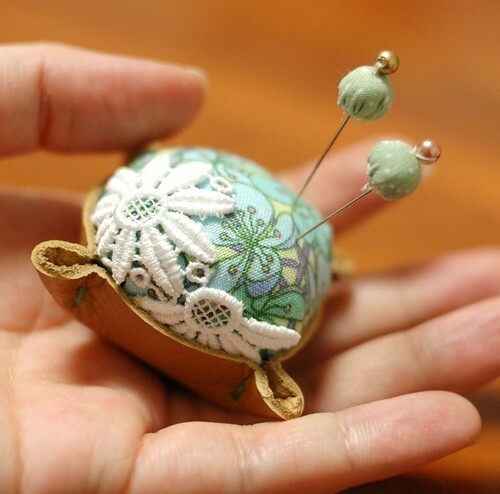 Mai, I just love your pincushions, they are sooo cute! That apple cake sure does look good! Would love to have the recipe. I really enjoy your blog! Thank you for sharing. Around where I live there are quite a few craft shops with good supplies, although some things I need to buy online. I don't have that many great fabric stores near me so I buy fabric, especially colored linen and Japanese fabric online. I can find Japanese fabric in several onlne stores in the US where the shipping isn't that expensive. I did find one store in Japan, Fabric Tales, that ships to the US and their shipping is very reasonable. In Spain there's no fabrics with this kind of patterns (for expample, like japanese ones, with cute little drawings) so if you want to buy it you have to do via Internet... Online shops like http://www.nuno-plus.com/ are very popular. riesci anche a leggere un po d'italiano? I always make the effort to shop in a real store when I can, even though the online stores have much more variety and sometimes better prices. If we pass by our local fabric stores they won't be able to stay in business, and then we'll never have the opportunity to touch our fabrics before we buy them. I decide what I want, look for it in local stores, and only buy it online if I can't find it there. And I never visit an independent fabric store without buying something. I love your blog. So many cute, original ideas. I found a nice Etsy shop, This and That from Japan, which ships all over the world. It's hard to get Japanese fabric here in Australia, and I do a lot of my fabric shopping online. I get fabrics from some online shops and the shops around my apartment. I hope you can find some fabrics there.